Every car we make is designed to help you make the most of now. To make every trip more comfortable, productive, effortless, entertaining and a whole lot more fun. Time is precious. To family it’s everything. Moments great and small are rarely recognised as they’re happening. They’re hiding in plain sight, but all too often we miss them. At Subaru, our mission is to bring families closer. To reconnect. To enjoy the magic of living in the moment. Because when we do, the unexpectedly awesome happens. 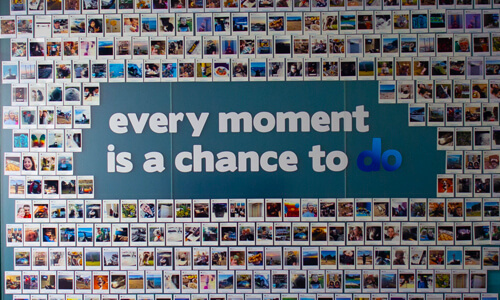 In our life, every moment is a chance to do. 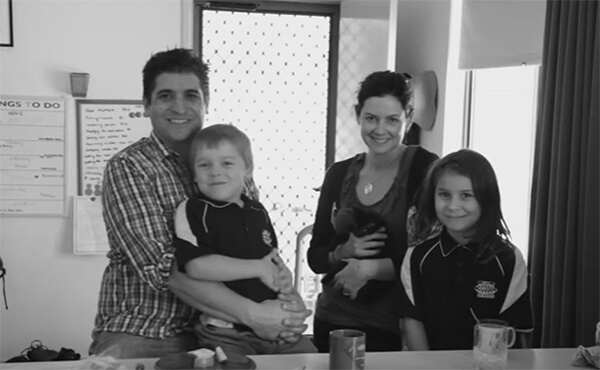 #OneLittleMoment started as an internal Subaru experiment that’s spreading across Australia. It won’t change the world, but it might change how you see it. Join in. 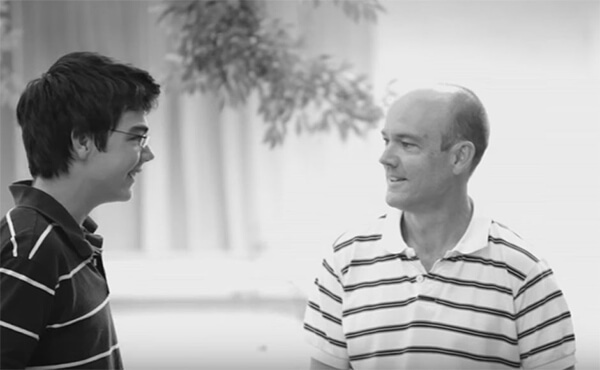 Here’s how #OneLittleMoment has been changing the lives of people at Subaru. 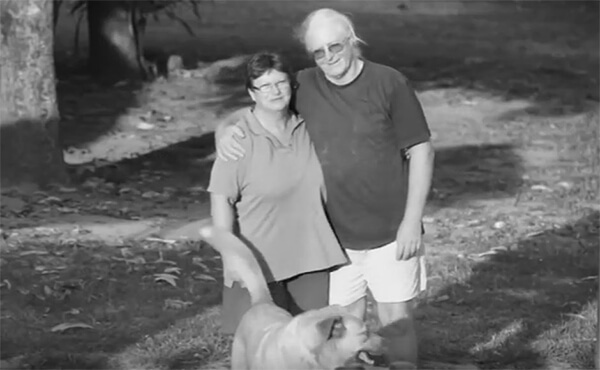 Watch the video to share in their hidden moments of joy. Welcome to the Subaru range. Adventure loving vehicles with performance, engineering and revolutionary design at their core - and epic moments in their sights. Explore the range below. No one does performance like we do. Experience the uncompromising thrill and exhilaration of our performance car range in the Subaru WRX, WRX STI, BRZ or Levorg Sportswagon. Do more with our feature packed range of family friendly SUV’s. Whether you’re upsizing or downsizing, Subaru XV, Forester and Outback will keep you and your family safe wherever the road takes you. Live your best life with the Subaru Impreza hatch or sedan. Or if you’re looking for something a little bigger, check out the Subaru Liberty for a new level of sophistication and space. At Subaru, we’ll never stop searching for new ways to help you make the most of every moment. From how you drive, to how you own, our breakthrough technology and innovations are changing everything. 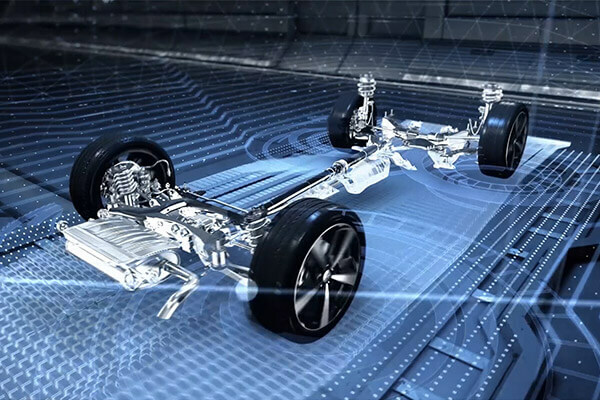 The new Subaru Global Platform (SGP), which offers huge advances in dynamics, efficiency and safety is at the very core of our vehicles. It’s new DNA. It’s the heart, the core, the underpinning that makes all the other technologies better. Every element of the new platform has been redesigned and reinvented. Developed at a cost of over one billion dollars, the SGP is the structure that will allow future power train technologies. 1. Subaru Global Platform only available on MY18 Subaru XV, Impreza and MY19 Subaru Forester models. 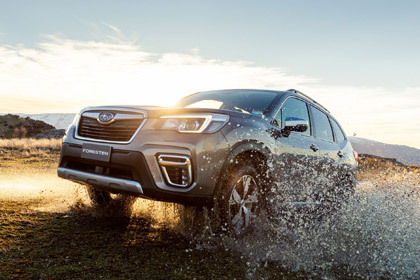 Subaru was the first car company in Australia to sell one of our cars online. 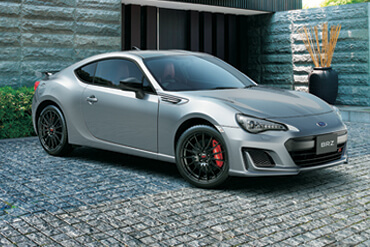 When Subaru BRZ went live in 2012 it sold out after just 3 hours. Ready to step into a brand new Subaru? Build and buy it online today! Choose your model, colour and accessories to make your Subaru perfect for you. In the wet. On the track. In the dirt. A Subaru grabs you and never lets go. Superior grip, balance and control when you need it most. 1. Symmetrical All-Wheel Drive excludes Subaru BRZ. Superior grip, balance and control when you need it most. 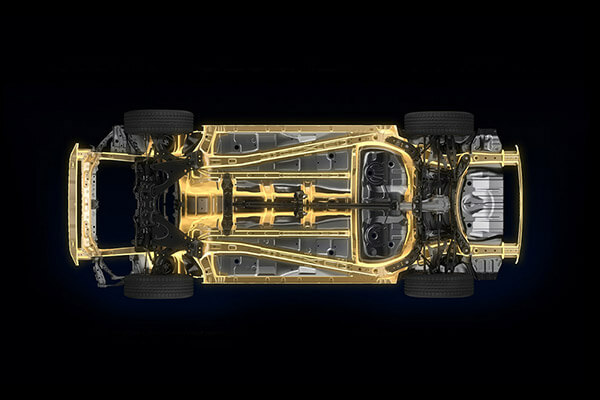 Subaru’s legendary Symmetrical AWD system delivers drive distribution to all four wheels, which means unparalleled driver confidence. 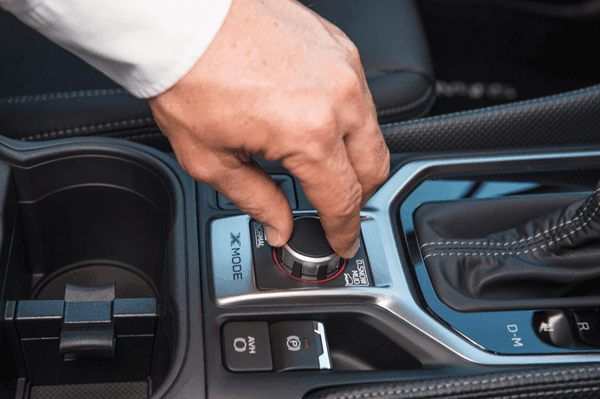 Another exceptional Subaru innovation, Lineartronic® Continuously Variable Transmission (CVT) is the reason our automatic models drive so smooth. 1. Lineartronic® CVT available on specified Subaru models/variants. Refer to model spec/feature pages for full specification. It’s the world’s first longitudinally mounted system for AWD vehicles. 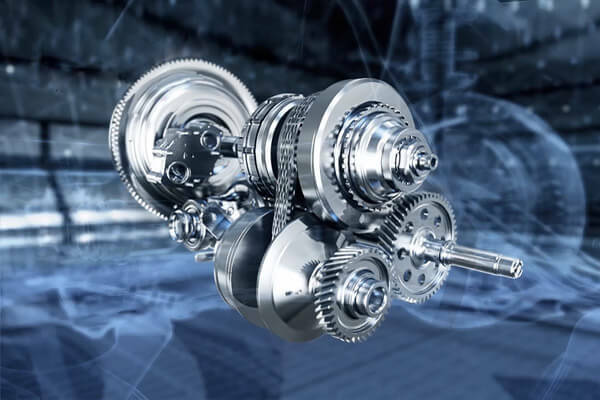 Unlike a conventional automatic transmission, which uses fixed gear ratios, our Lineartronic® CVT provides infinite variability between the highest and lowest available ratios. So you now experience a smoothness that also optimises the efficiency of the vehicle. 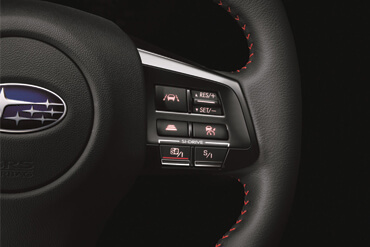 For even more excitement, switch to manual mode for greater control to suit your driving style. Subaru Boxer engine has a low centre of gravity, which means better balance, safety, handling, stability performance and a whole lot more fun. Most car engines are the same. But a Subaru Boxer engine is different. And why a Subaru delivers superior handling. Sitting horizontally and flat in the engine bay, a Subaru Boxer engine has a low centre of gravity, which means better balance, safety, handling, stability performance and a whole lot more fun. Not all drives are the same. 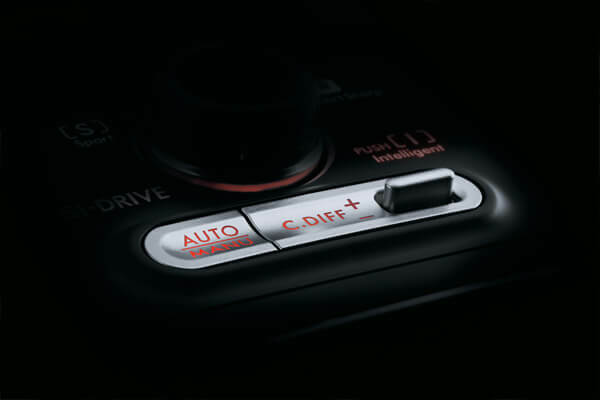 Each situation deserves a distinctive driving mode, so we crafted Subaru Intelligent Drive (SI-Drive) to do just that. 1. Subaru Intelligent Drive available on specified Subaru models/variants. Refer to model spec/feature pages for full specification. Not all drives are the same. Which is why Subaru Intelligent Drive gives you the ability to tailor your car’s performance to suit the way you feel. Intelligent (I), Sport (S) and Sport Sharp (S#). There’s a mode for every mood. Drive with confidence wherever your Subaru WRX STI takes you. Take control of your drive with Multi-mode Driver’s Control Centre Differential which optimises traction, handling response and all round performance. 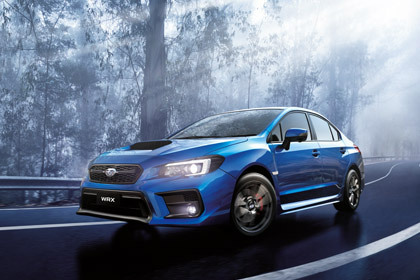 Every Subaru WRX STI is equipped with an innovative DCCD system to give you the power to adjust Automatically or Manually the centre Limited Slip Differential to suit conditions or your driving style. Auto mode - Provides optimum handling, traction and all round performance. Auto (-) mode Provides sharp handling, suited to dry conditions. Auto (+) mode Optimises overall traction, suited to wet, slippery conditions. Subaru was one of the first car companies in Australia to offer a 5 star ANCAP*The Australian New Car Assessment Program (ANCAP) gives consumers consistent information on the level of occupant protection provided by vehicles in serious front and side crashes. safety rating on every model. And we’ll never stop looking for new ways to look out for you and your family. "The police told us that we'd been really lucky we were in a Subaru." "The safety features work... They protected me on the day and made a big difference." "I felt compelled to thank Subaru for building a car that I genuinely believe saved my life." Real-life stories from everyday Subaru drivers who were able to walk away from severe traffic incidents. At Subaru protecting you and your family is at the heart of our design and engineering. The rigid chassis, passenger safety cell and boxer engine are engineered to withstand and protect. It’s why Subaru vehicles are known for their strength and resilience in collisions. Subaru Global Platform and safety cell*Subaru Global Platform only available on MY18 Subaru XV, Impreza and MY19 Subaru Forester models. 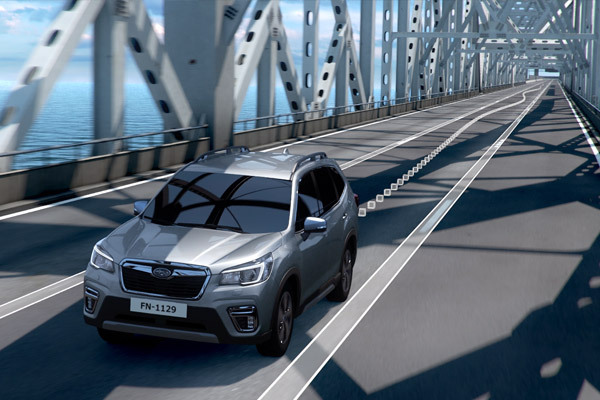 The new Subaru Global Platform helps improves handling through refined chassis rigidity and a remarkably low centre of gravity. It also protects you in a collision, with a ring-shaped passenger safety cell designed to absorb and direct the impact of the force around the cabin, rather than through it. High performing and horizontally-opposed, The Subaru Boxer engine is lower, smarter and safer than traditional engines. 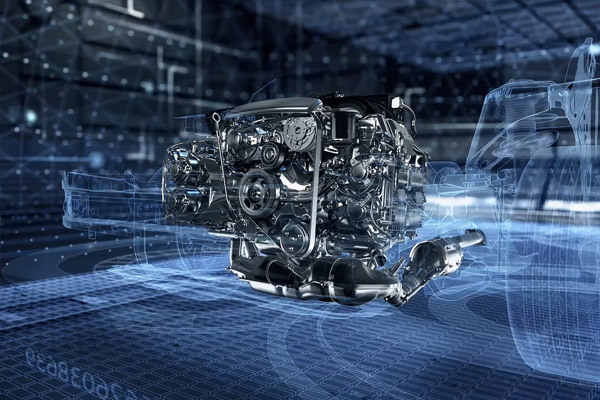 High performing and horizontally-opposed, The Subaru Boxer engine is lower, smarter and safer than traditional engines. Sitting lower and flatter, the iconic Boxer gives you a low centre of gravity and better handling. Plus, if a severe frontal collision occurs, it will slide below the cabin – not through it. You’ve got protection all around you in every new Subaru with 7 SRS*SRS: Supplemental Restraint System. Effective when used in conjunction with seat belts. airbags as standard. You’ve got protection all around you in every new Subaru. Dual front, dual front side, dual curtain and driver’s knee SRS*SRS: Supplemental Restraint System. Effective when used in conjunction with seat belts. airbags are designed to work as part of a total car safety package and tuned to the total performance of the body structure. Being alert to the unexpected, from changing road conditions to anticipating the unpredictability of other drivers, is more important than ever. 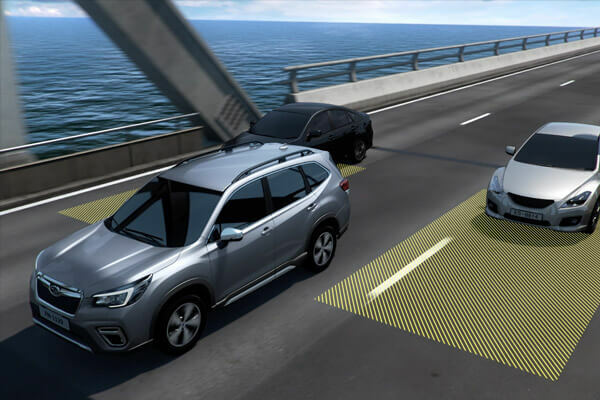 When the unexpected does happen, Subaru vehicles include a range of cutting edge technologies to help avoid potential danger. 1. 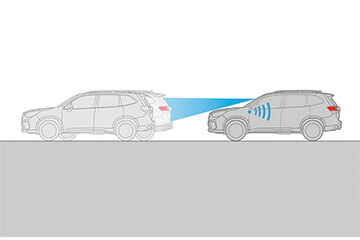 EyeSight® Driver Assist technologies available on specified Subaru models/variants. Refer to model spec/feature pages for full specification. Provides automatic braking to help avoid or reduce the severity of detected frontal accident impacts. Alerts the driver of insufficient braking pressure and assists by applying full braking force in a detected emergency situation. 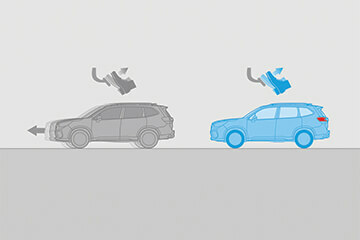 Reduces available acceleration when the system detects that the driver has mistakenly pressed the accelerator, and there is an object detected in front. Keeps a set distance from the car you’re following while you’re using cruise control. Select from three different distances, based on time and speed, and your Subaru will automatically regulate its speed in line with the traffic flow. Stuck in bumper to bumper traffic? Your Subaru watches the car ahead and prompts you when the traffic starts moving again. EyeSight® Driver Assist watches the lane markers and alerts you if it detects you’re moving out of your lane. When you’re tired you can lose concentration and sway within your lane. 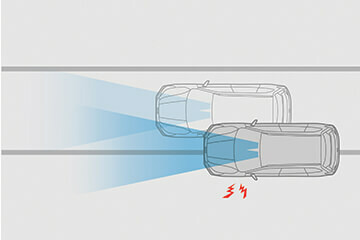 EyeSight® Driver Assist watches out for this and warn you when detected. 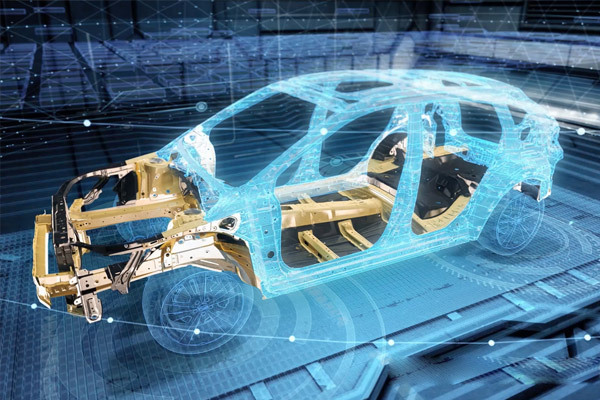 If the system determines that a collision with another vehicle or obstacle in front of the vehicle is possible, it will assist the driver in steering to avoid the collision, with integrated vehicle control technology in the Vehicle Dynamics Control (VDC). Using high-resolution stereo colour cameras EyeSight® Driver Assist can recognise a sudden activation of a brake light ahead and warns the driver. Set your desired speed, and EyeSight® Driver Assist will control engine torque, allowing you to accelerate as needed without exceeding your set limit. EyeSight® Driver Assist controls and information are primarily positioned on the steering wheel and displayed via the nearby Multi-Information Display unit, so they’re easy to use while watching the road. 1. 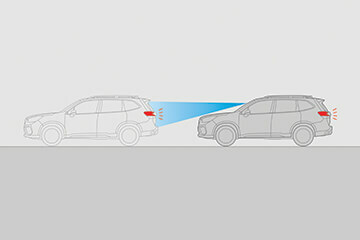 Subaru's Vision Assist technologies available on specified Subaru models/variants. Refer to model spec/feature pages for full specification. 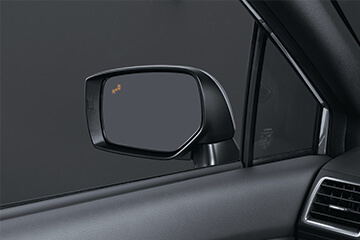 If a vehicle in your blind spot is detected, a light on your side mirror illuminates to let you know. 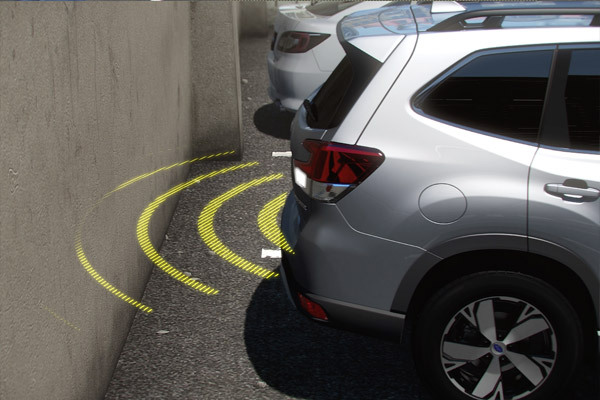 If you’re reversing out of a parking space, you’ll receive an audible and visual warning if a car you can’t see is detected approaching from the side. Perfect for supermarket carparks. While you’re reverse parking, our Side View Monitor indicates the distance from the kerb or a parked vehicle. Great for guiding you into tight parking spaces. If you’re changing lanes and a fast approaching vehicle is detected behind you, a light symbol will warn you of its presence. If you’re approaching oncoming traffic at night, auto high beams will monitor the road ahead and automatically switch to low beam. 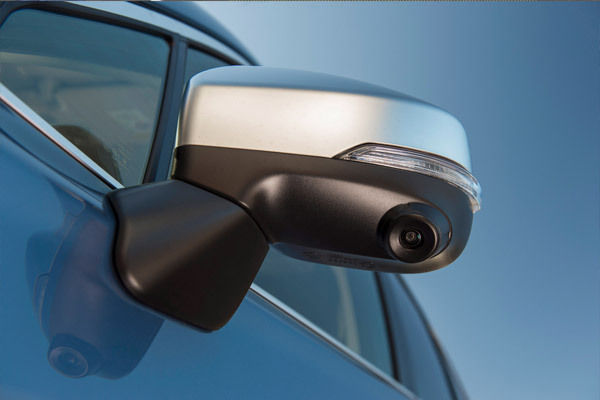 A camera on the front of your Subaru displays an image of the blind spot at the front. Perfect for judging the distance to an obstacle in front. 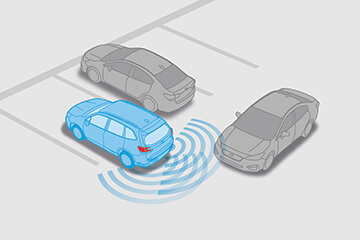 If you’re reversing and an obstacle is detected, our Reverse Automatic Braking feature applies the brakes, even if you don’t. Your infotainment touchscreen will also display a warning and give you an audio alert when an obstacle is in your path. Shapes your high beams around oncoming cars at night to provide optimal night time visibility, while not dazzling oncoming drivers. 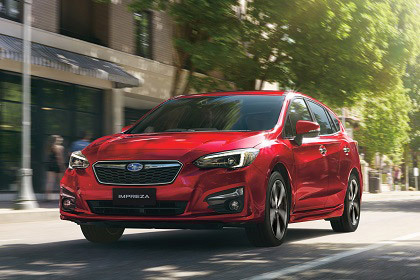 From award-winning safety technology such as our EyeSight®*EyeSight® Driver Assist technologies available on specified Subaru models/variants. Refer to model spec/feature pages for full specification. 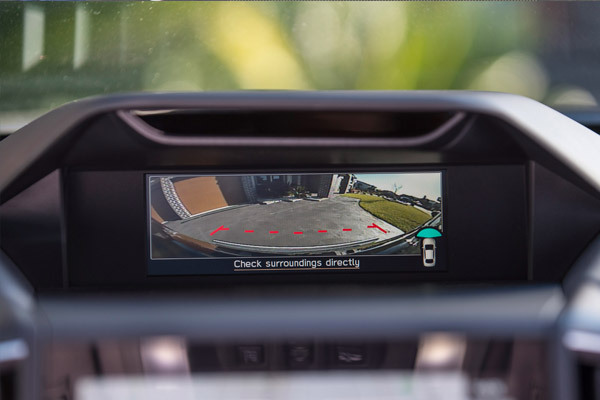 Driver Assist system that’s like a second pair of eyes watching out for you, to a brilliant Driver Monitoring System*Driver Monitoring System available on specified Subaru models/variants. Refer to model spec/feature pages for full specification. that watches your face for signs of distraction and fatigue. A Subaru is a joy to drive and a pleasure to own. One of the most brilliant pieces of technology ever developed by Subaru, EyeSight®1 Driver Assist technology is a major breakthrough in driving, helping to spot potentially dangerous driving situations before you do. 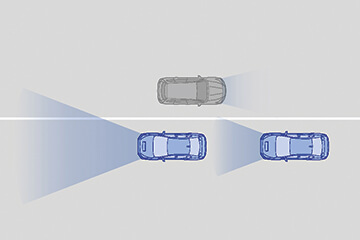 One of the most brilliant pieces of technology ever developed by Subaru, EyeSight® Driver Assist is a major breakthrough in driving. What if technology could help solve a problem, before you ever realise you have one? When it matters most, split seconds count. That’s when EyeSight® Driver Assist isn’t just clever technology, it’s unbelievably priceless technology. 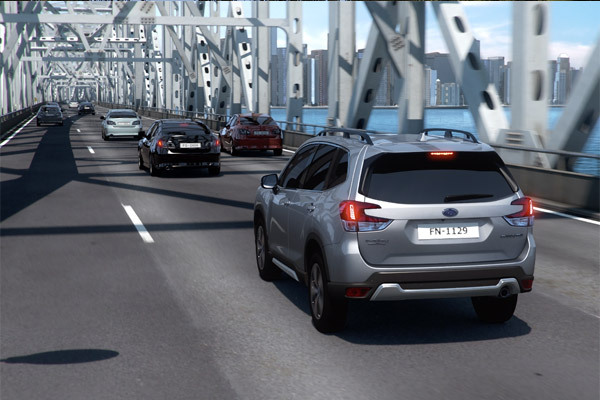 Subaru’s Vision Assist1 technologies, including Blind Spot Monitor, Lane Change Assist and Rear Cross Traffic Alert are always at work to help you feel safer on the road. 1. 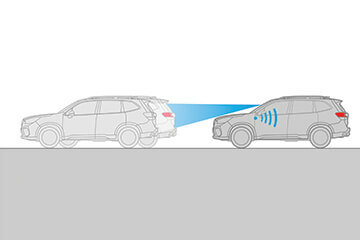 Subaru’s Vision Assist technologies available on specified Subaru models/variants. Refer to model spec/feature pages for full specification. 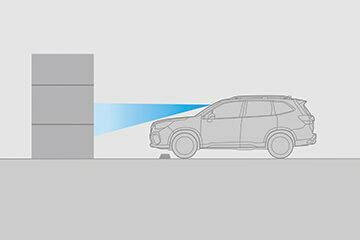 Subaru’s Vision Assist is an innovative system alerting you to things you may have missed. Subaru is famous for building cars with exceptional visibility. But we don’t stop there. Our cutting-edge Vision Assist system includes technology including Blind Spot Monitoring, Lane Change Assist and Rear Cross Traffic Alert. This time its personal. 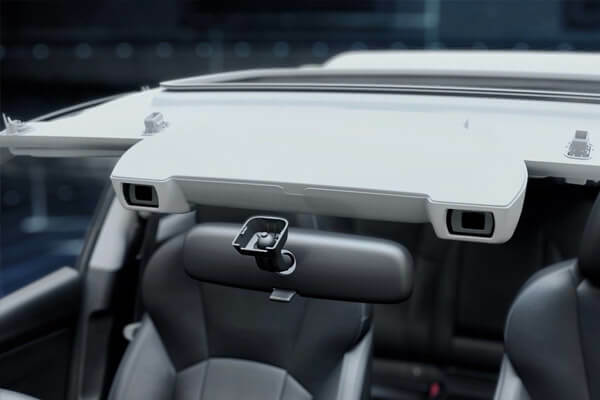 Subaru’s innovative new driver focus tech; the Driver Monitoring system1 is designed to personalise the driver’s experience, delivering convenience and safety. 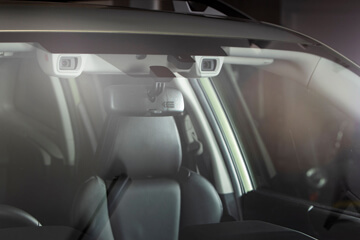 Driver Monitoring System available on specified Subaru Forester variants. Refer to model spec/feature pages for full specification. This time it’s personal. Subaru’s new Driver Monitoring System1 is amazing technology. 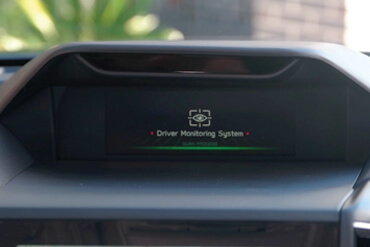 A dedicated infrared LED camera installed in the visor of the Multi-Function Display, recognises a registered driver’s face, and the driver’s last settings are displayed in the instrument cluster. Air conditioning settings are automatically synced to the recognised driver’s personal settings. It also sets the driver’s preferred seat position and door mirror angles. Up to five drivers can be registered and the cabin environment tailored to their preferences. Revolutionary Subaru engineering underpins the new Subaru Global Platform, providing a driver that’s damn near perfect and super smooth. Some of the world’s greatest technology, you never see. It’s hiding inside, quietly making everything work. Making everything better. 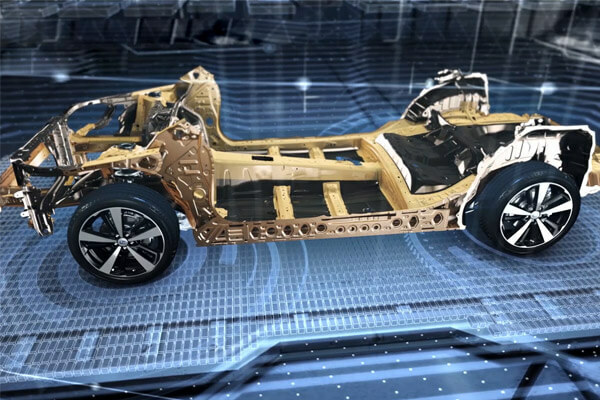 The Subaru Global Platform is a truly cutting-edge chassis that improves everything from driving dynamics, cabin noise, stability and safety. Technology that sets you free. Our iconic Boxer engine and Symmetrical All-Wheel Drive1 system are the pinnacle of Japanese technology. Scientifically conceived. Rigorously tested. Our iconic Boxer engine and Symmetrical AWD system are the pinnacle of Japanese technology. Technology that sets you free. An incredible all-round driving experience with next level handling and safety for which Subaru is renowned. When the going gets tough, engage Subaru’s intelligent X-Mode1 to deliver uncompromising performance in challenging terrain. 1. 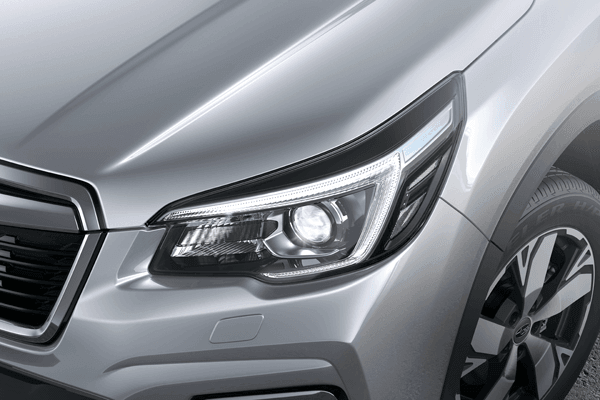 X-Mode available on specified Subaru models/variants. Refer to model spec/feature pages for full specification. X-Mode1 can give you the X-Factor when dealing with difficult conditions. 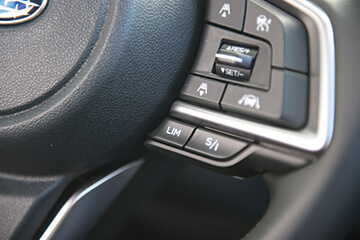 At the twist of a dial or touch of a button, you can adjust the engine, transmission, Symmetrical All-Wheel Drive and brakes to deliver the optimal settings providing better grip and traction in low speed, slippery conditions. 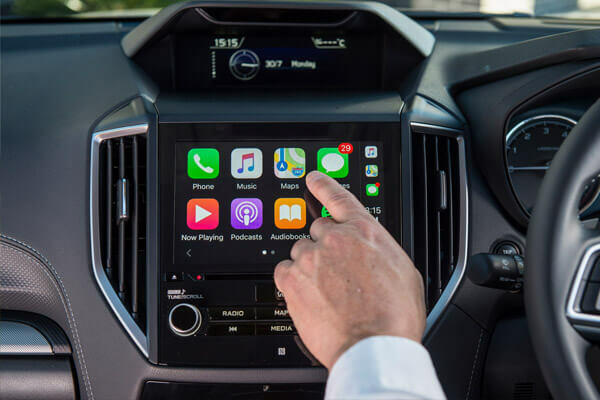 Music is the soundtrack to life and Apple CarPlay® and Android AutoTM connectivity make it easy to pump out the tunes and access all your favourite apps. 1. 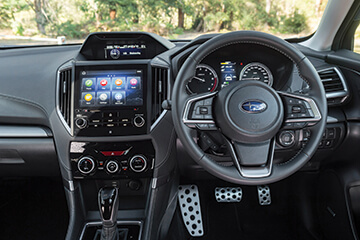 Apple CarPlay® and Android AutoTM available on specified Subaru models/variants. Refer to model spec/feature pages for full specification. Your favourite beats at the ready, voice command, hands-free calls and contacts. We’ve brought everything you love right to your fingertips, to make your drive more fun and more connected. Time is precious. That’s why we offer a range of benefits to make owning a Subaru easy and fun. Every brand new Subaru comes with our Subaru Capped Price Servicing Program, which means no surprises. You’ll know the maximum cost of any standard service for five years. Subaru is looking out for you, wherever you are 24 hours a day, 365 days a year. We’ve teamed up with your local state Motoring Club to offer 12 months Australia-wide standard roadside assistance whenever you need it. We like to check in with you after a month to make sure your Subaru is perfect for life. It’s a free consultation that takes just 30 minutes for our factory-trained technicians to check your Subaru and answer any questions you may have. At Subaru, finding new and original ways to innovate is what drives us. We try and anticipate our customer needs and put our customers first in everything we do. It’s why we’ve been asking “what if” for the past 60 years. We’re proud our very own Molly Taylor was the first female and youngest person to win the Australian Rally Championship. And proud to offer you the same Symmetrical AWD technology used by Molly and the Subaru rally teams who achieved an unbeatable 10-year winning streak before her.